TimeWolf Scout Employee Time Clock System for 50 Employees (Upgradeable to 100 Employees). Includes the Scout Hand Punch Time Clock, with Ethernet. 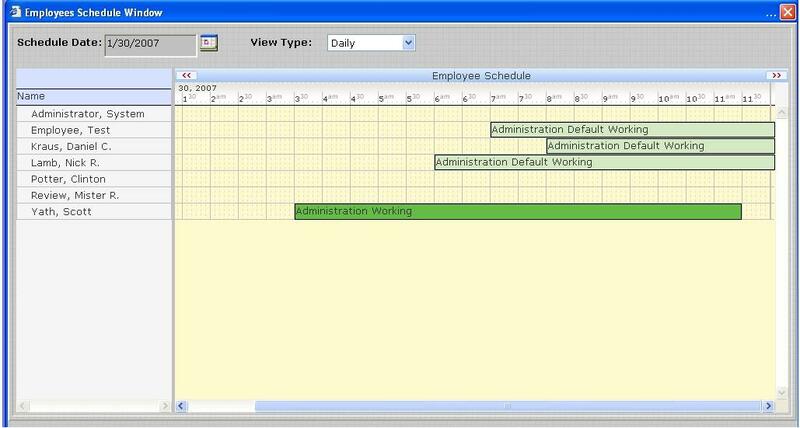 Optional Software Modules include a Multi-User License, Employee Scheduling and Job Costing. The Time Wolf Hand Punch Time Clock is an affordable time clock, bringing you the power of an automated Time Clock System at a very low price. The clock, compact in design and easy to use, allows the employee to clock In and Out by using Hand Recognition technology. The employee has the ability to, transfer departments at the Hand Punch Clock. The data collected by the Hand Punch Time Clock Terminal is then sent to the TimeWolf Employee Time Clock Software. TimeWolf puts you in control, detailed reports can be generated, exceptions tracked and corrected and then data can be passed on to payroll for check processing. 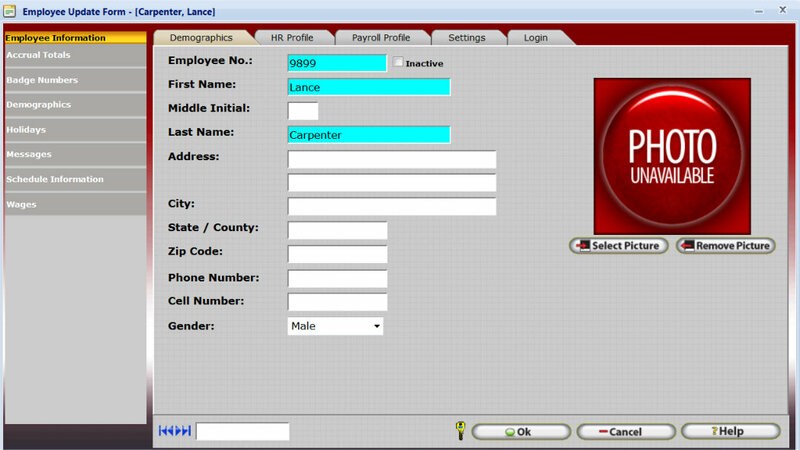 Read on for screenshots of the TimeWolf Employee Time Clock Software and detailed information about each of the powerful features of the system...features simply not packaged with other entry-level time clock systems!! Hand Recognition Scout HP1000E Time Clock Reader (with Ethernet Communications). Extensive User Manual and Help Files accessed from within the installed software. TimeWolf Hand Punch Time Clock...a complete Employee Time Clock System Right Out of The Box. The TimeWolf Hand Punch Time Clock System is ready for a variety of Data Collection Options...choose one method or a combination of each...all are included on this system!! Employees will Punch In/Out from the TimeWolf Hand Punch Time Clock Terminal. The Punches are then polled by the Time Wolf Employee Time Clock Software. Employees can perform Department Transfers from the Hand Punch Time Clock. The TimeWolf Employee Time Clock system is also offered with a PIN Entry /Proximity Badge Reader Time Clock...click for information on the TimeWolf Zephyr Employee Time Clock System. The TimeWolf Employee Time Clock system is also offered with a Fingerprint Reader Time Clock...click for information on the TimeWolf Juno Fingerprint Time Clock System. Real Time Clock Polling!! The System Clocks Monitor runs as a true Windows Service on the computer and can be set to poll and update the punches in real time from the badge swipe time clock. 2) Workstation PC's require Internet Explorer, FireFox, Safari, and Google Chrome browser. 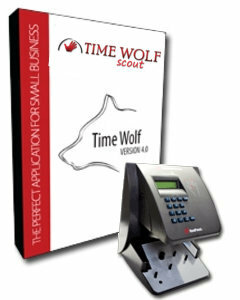 This TimeWolf Scout payroll time clock is perhaps the easiest and most efficient time clocking system yet! Compact and with a unique hand recognition system, it’s easier than ever to track your employee’s punch-ins, punch-outs, and payroll, leaving you with the time you need to focus on larger tasks. We know that maintaining schedule and payroll details for every single employee is a meticulous job, which is why the TimeWolf Scout is here to help. Data is collected once an employee clocks in, and their individual time reports can then be forwarded to payroll for easy check processing. With the ability to keep details on up to 50 employees, this is an affordable asset to any workplace. For those larger groups, upgrading is possible, with the ability to keep track of up to 100 employees!